This is something business owners fear most – a complaint isn’t dealt with, the customer tweets about it, then suddenly it spirals out of control and your business’ reputation is tarnished with people who had never even heard of you before. The truth is, while most businesses are concerned about social media backlash, they should really be concentrating on improving engagement. The vast majority of businesses do not make the most of social channels and will certainly not face the sort of social media backlash that you may hear about on the news. However, if you do social media well your customers will start to engage with you (both positively and negatively) – it’s important to respond and acknowledge your customers wherever they may be interacting with you and maintain your brand’s personality and voice on every channel. Nobody wants customer service failures or simple mistakes to be aired in public, but remember that this is also an opportunity to show how you can put these things right. The first step is to avoid being stressed about it and look at the opportunity objectively. 71% of consumers who receive a response from a brand go on to recommend them (even if the conversation started with a negative comment) whereas only 19% of customers who do not receive a response recommend the brand (even if it started with a neutral comment). You can even increase spend – customers who receive support on social media tend to spend 20-40% more with the company. Being prepared is half of the battle – rather than panicking and delaying responses, a good policy and response framework means that you are ready for all eventualities and know what to do when people do begin to engage. Identify who is responsible for reading and responding to comments. Create a list of emergency contacts (such as people within the legal and senior teams). Create house rules for your social communities – this can include age limits, definitions of troll activity, handling of promotion by competitors, use of profanity, what is classed as offensive (eg. sexism, racism), inappropriate content, staff rules, and setting response times. Decide if you will respond to secondary mentions (such as mentions of the CEO name or company without tagging) or only comments directed at you. Create frameworks for common issues (eg. late delivery of an item). Set benchmarks for response times. Define your brand voice and tone for responses. Ignoring customer complaints tends to make them escalate, but if you are not keeping an eye on your mentions and actively checking who tags and talks about you, you will inevitably miss things said about you. 50% of consumers expect a response to a question within a week, but ideally you should have a response before that due to the fast-moving nature of social media. 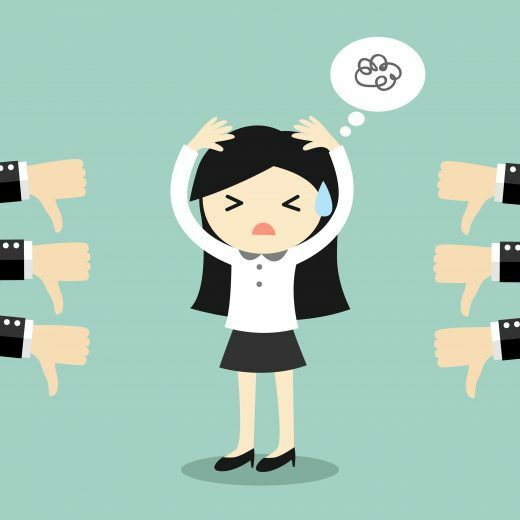 When it comes to negative comments, 42% of people expect a response within an hour. Questions on brand pages have increased by 85% this year – people are starting to see social media as an extension of customer service, so it is increasingly likely that you will need to interact with your customers on Facebook, Twitter, and other social platforms. Complaints online tend to fall into two very broad categories – genuine issues and people who are simply trying to get a reaction. You may occasionally get posts from people who are in a bad mood or even from competitors who are trying to take some of your business by claiming you are overpriced (for example) – these can usually be deleted and blocked without any damage to relationships. However, genuine complaints should be dealt with reasonably and calmly, even if you disagree with their basis for the complaint. Remember that 89% of people have stopped doing business with a company because of poor service – you could still remedy the issue but not responding properly could seriously damage both your relationship and your wider reputation. Non-genuine negative comments can typically be deleted and blocked. Genuine comments should be first acknowledged. After that point, some may be resolved directly, others may need to be escalated, and in extreme situations you may need to call the legal or senior teams for resolutions. Acknowledge the problem, identify the core issue, and manage expectations about a resolution. The solution should be clearly communicated and delivered, but you may not be able to do this immediately so an acknowledgement is a ‘holding response’ until you know exactly what you are going to do. In most instances, you will want to acknowledge the comment but take the conversation elsewhere to avoid a more lengthy complaint on your brand page. It is a good idea to log incidents for review later. Screenshots and write ups can help with training, and they can help your brand identify common issues or reoccurring problems to avoid the same thing happening in the future. Your logs should be reviewed at quarterly, bi-yearly, or yearly intervals to improve your overall service or draw conclusions.